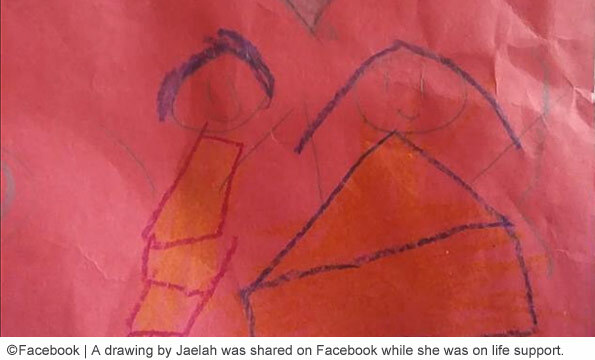 Jaelah Smith, 6, died after suffering life-threatening injuries from a dog attack. UPDATE: 07/18/18: Family members confirmed late Tuesday that 6-year old Jaelah Smith died after suffering life-threatening injuries from a dog attack Sunday morning. She was attacked in the neck by a pit bull-mix her family had been dog sitting while its owner was away on vacation. The dog did not belong to her family. Jaelah had been on life support systems since the attack at Wolfson Children's Hospital. She is survived by her two siblings, ages 7 and 9-years old. More than one dog was in the home at the time of the attack. Authorities removed a second dog, a young rottweiler, from the home Sunday as well. The Florida Department of Children and Families is also investigating the attack, reports News4Jax. The owner of the pit bull-mix has not been identified. It is also unknown how long the little girl's family had been pet sitting the dog. Jaelah Smith is the 220th child killed by a pit bull since 1980, when the pit bull problem began to emerge. Associate Medical Examiner Peter Gillespie said the child died from lack of oxygen and blood to her brain, as well as sharp force injuries to a major vein and artery on her neck, reports The Florida Times-Union. "She suffered irreversible brain injury," Gillespie said. He also said he was unsure how many times she was bitten. (That statement typically indicates multiple, overlapping bites after a repeated attack.) She was pronounced brain dead shortly before 7 pm Tuesday. Today a child nearly killed by a dog Sunday was identified as 6-year old Jaelah Smith. A pit bull-mix her family was watching for friends attacked her in the neck. She was unresponsive when Fire-Rescue arrived. 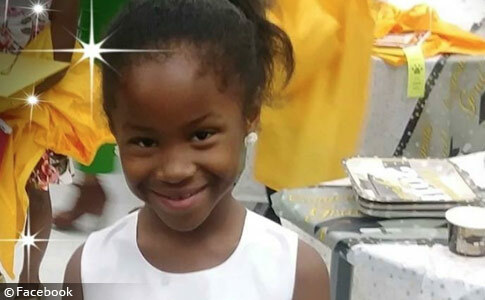 Jaelah was transported to Memorial Hospital in a "severe life-threatening" condition, according to the Jacksonville Sheriff's Office. She was later transferred to Wolfson Children's Hospital. Jaelah's 7 and 9-year old siblings were not harmed in the attack. 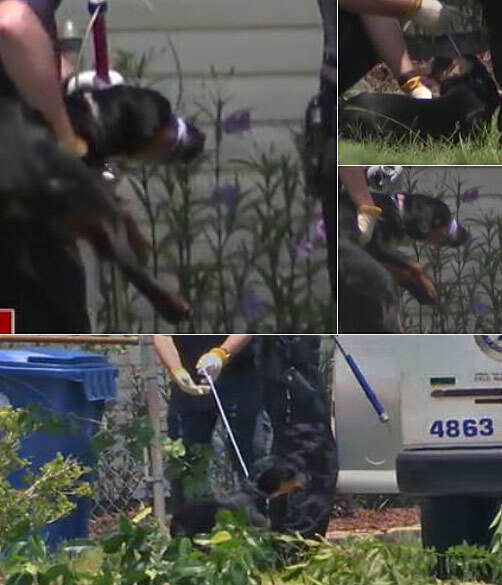 The Florida Times-Union helped explain (potentially) news footage taken Sunday that shows a young rottweiler dog being seized by authorities. Times-Union spoke to neighbor Mattie Hightower, who said her granddaughter called 911 after the attack and "helped scrub blood" off the driveway after emergency personnel rushed Jaelah away. Hightower also said the child's mother, Sheree Smith, is a good mother and "keeps her own dog, a rottweiler, in a cage when necessary." It is fairly routine for authorities to seize all dogs in a home after an extreme attack. Times-Union also spoke to Emily Patterson-Kane, an American Veterinary Medical Association animal welfare scientist. She described a classic pit bull attack, "amplify rapidly and cannot be easily de-escalated" and "it doesn't take much for things to go wrong," but refused to attribute these breed-specific attack characteristics to them. It is a distortion that all breeds attack in this manner. Jacksonville, FL - Police confirm that a 6-year old girl suffered life-threatening injuries after being attacked in the neck by a pit bull-mix. On Sunday at 10:17 am, police responded to the 2700 block of Herrick Drive. The child was unresponsive at the scene. Jacksonville Fire-Rescue immediately transported the child to a local hospital. The Jacksonville Sheriff's Office issued a statement Sunday stating that the Jacksonville Sheriff's Office Homicide Unit is handling the investigation. Multiple dogs were in the home at the time. The attacking dog was not a family pet, states the release. The child's family had been dog sitting the pit bull-mix for someone who was away on vacation. There were other children and a parent in the home at the time of the attack. No information was provided Sunday about how many other dogs were in the home. Jacksonville Animal Services confiscated at least one dog from the home and placed it into quarantine. This attack follows a deadly dog mauling in south Florida back in May. Liana Valino, 9-months old, was attacked and killed by a family pit bull while under the care of her paternal grandmother at her father's home. The grandmother told a Spanish-speaking 911 translator, "My son's dog killed the 9-month-old girl. I locked the dog in the bathroom and the baby is dead in the living room." The father owned three pit bulls, all related. The culprit was the male offspring, about 3 or 4 years old. Both attacks involve multi-dog households, a person "watching" the attacking dog other than its owner and a devastating attack on a child. In the Jacksonville case, it is unknown if the child had previous experience with the dog. It is also unknown how long the family had been dog sitting. In cases of fatal dog maulings, all of these factors heighten the risk of an attack and children are the primary victims. As of Monday early afternoon, the condition of the Jacksonville child is unknown. Word to the wise: If you’re asked to dog-sit a pit bull, say no. If the family of this child had said that, she would still be alive. This baby girl passed away. Just got the updated story this morning on our news. Check out news4jax.com for updates. If you are asked to house sit even a adult that has a Pitt bull on the premises, say no. You could be the next person mauled or killed. I wouldn’t allow a pit bull to set foot on my property. There’s no excuse for these pit bull attacks to keep happening. Everybody knows these dogs are dangerous, whether they admit it or not. It’s high time to make laws that strictly limit or completely ban all pit bulls and pit bull mixes. Parents who expose their children to these dangerous dogs should be charged with child endangerment and if the child dies, charge them with manslaughter. Get rough with these idiots and things will start to change. Keep letting it go and innocent lives of people and pets will continue to be taken in a most horrific and brutal way. This whole thing just makes me sick and very, very angry! Colleen, you posted a video of a pit bull attacking a husky decoy. That video. Everytime this type of attack happens, I think about that video and the shear power and speed of the dog with that first attacking move. The attack is so swift and violent even an adult an arms length away could not prevent it. It makes me sick when some dog expert comments on these attacks with the “any dog” could do this and “all dogs” need to be supervised because even a pit bull being supervised could attack and kill with the adult having no ability to prevent it. Honestly, not everyone understand the risks pit bulls pose. The breeding/rescue industry pushing these dogs is incredible. I read that $3 million is spent each year just promoting pit bulls! And that doesn’t count the thousands of people who parrot their arguments for free. The victim’s side often just isn’t heard. I recently wrote about a family on my street that got a pit puppy. They have two young children, and they live in a duplex next to a single mom with a toddler and a toy breed dog. I don’t think these people hate their children or want their or their neighbor’s child or pet to be hurt. I think they are just ignorant, not malicious.